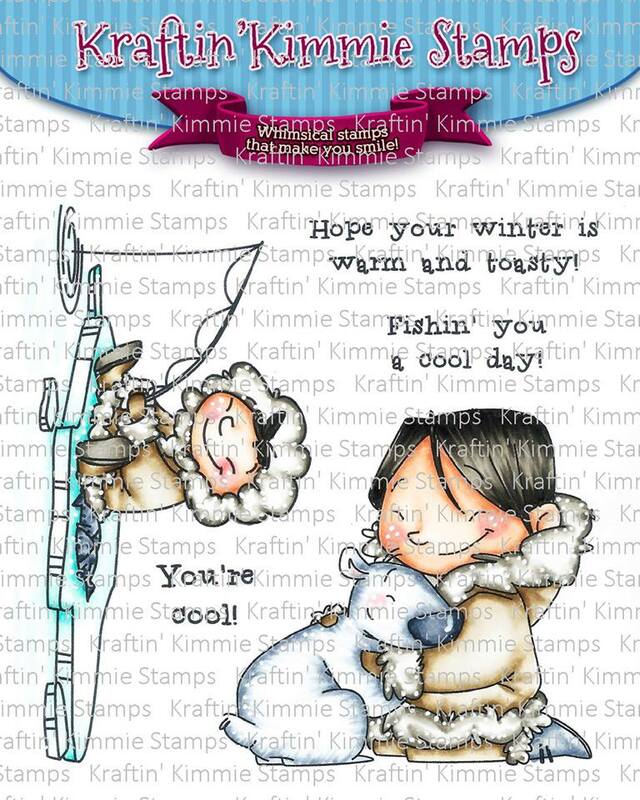 Trinity Rose Designs: Kraftin Kimmie Stamps November New Release Day One!!!!! Kraftin Kimmie Stamps November New Release Day One!!!!! Welcome to the November Release at Kraftin' Kimmie Stamps! This is our last release for 2017 and we can't wait to share it all!! characters from artist Emilie Goulet! It's called ESKIMO PALS!!! It features two main images of adorable eskimos having some fun in the snowy tundra! It also comes with three COOL sentiments, this is definitely in the running for my FAVE set of the release!! I truly love this Sweet and Simple card!! Be sure to join us at the LIVE Online Release Party on Sunday afternoon at 2pm EST! We'll be checking out ALL the SIX new clear stamp sets, sharing fabulous creations, giving away prizes and having tons of krafty fun! All the Krafty Krew design team and Guest listed below have lots of wintry designs to share with you today featuring the ESKIMO PALS stamp set! Be sure to hop around and leave lots of love at each and every stop because one lucky commenter will WIN a gift voucher to the krafty shop! The winner will be announced at the party so don't miss it! gorgeous card - love the sparkling background!!! What a cute card. I love the bling. LOVE your igloo! Great card! Oh my!!! The cuteness of your card!!! Such a sweet stamp set!!! The igloo is a great touch for this adorable card. Beautiful card! I love the little white dots on the fur, they just give it this little extra. Great job! I really love the colors, the gold and how you colored the bear...so cute! Fab! 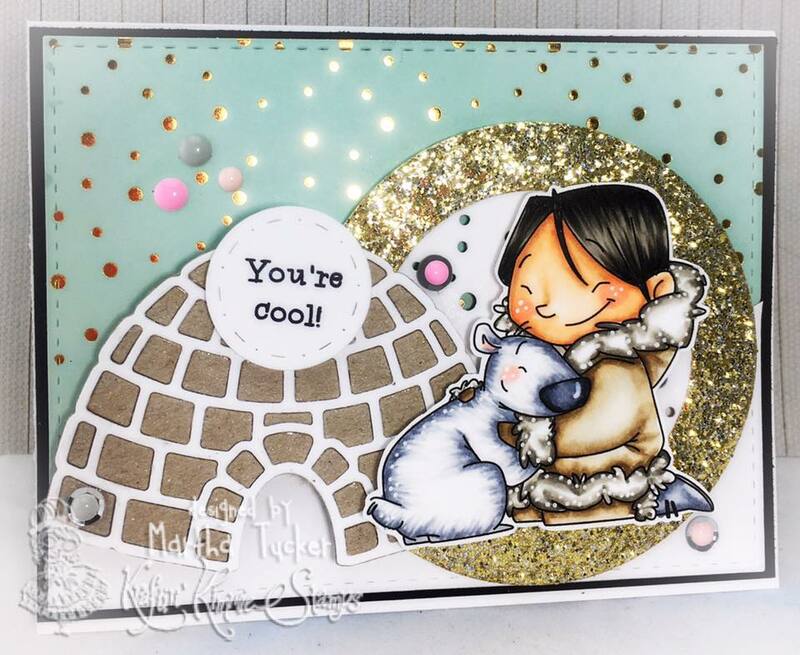 Love the white dot accents and that fab igloo die is perf for the scene!